From time to time, we check statistics from our website to see where you all find us and which pages you like to visit. Would you like to know whose page is in the top 3 of our most popular pages? Just Googled Bugsy Pug and our page is listed first! 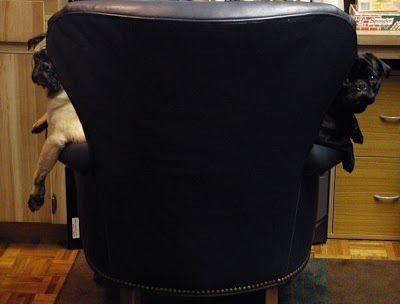 Since the ever popular innpugs are currently napping (seriously), we’d like to remind everyone on their behalf that the Inn on Mill Creek is an Asheville and Black Mountain area pet friendly B&B. Two of our seven rooms welcome our guests traveling with guest pets. In fact, the entire area is very pet friendly, and in a month or two, many local restaurants with outdoor patio seating will allow you to bring your dog when you dine with them. Some of the stores welcome dogs, too. Additionally, many places like Biltmore Estate, Chimney Rock Park and the North Carolina Arboretum have dog friendly nature trails and are less than 40 minutes from the Inn on Mill Creek. In short, this is a great place to be a dog, even a sleeping one. This entry was posted in Uncategorized and tagged Biltmore, food and drink, innkeepers and innpugs, outdoors, shopping by Inn on Mill Creek. Bookmark the permalink.